With over 20 years of experience in the concrete business, Windy Hill Concrete, Inc. can service all your residential, commercial and agricultural needs. We specialize in stamped concrete & are certified in Decorative Concrete Design systems. Windy Hill Concrete makes every entrance, walkway and patio an attractive, long-lasting focal point for your home. Choose the colors and designs that coordinate with your home’s decor. Our stamped concrete builds value, saves money and enhances the beauty of your home, while our work costs less than the stone, tile or even wood surfaces that we emulate. We are a full service stone masonry contractor. We can handle projects of any size. 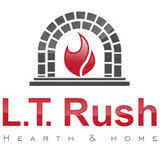 Our residential division works with the top builders in the area or we can work directly for the homeowner. The commercial division is leading the way with stone installs for general contractors. We also have a restoration and repair division, specializing in waterproofing and repairing of mortar. When honesty, affordability and superior craftsmanship are what your looking for, Stoneworx is your choice. Stoneworx changing the world one stone at a time. Living Stones Masonry specializes in the installation and retail sale of manufactured stone veneer, natural thin stone and stucco. Whether you are a homeowner, builder, architect, or designer, we will work with you to bring the beauty of stone to your construction project. Living Stones Masonry offers thin stone installation at an affordable cost both in natural veneer and manufactured stone veneer, with a multitude of colors and styles to choose from we know that you will be able to find the inspiration for your project. Living Stones Masonry has experienced masons available with an acute attention to detail that will exceed your expectations and bring your project to life. Stinebaugh Masonry, LLC, is a fully licensed contractor, owned and operated by Eric Stinebaugh. He has 20+ years of experience as a mason. Fortunate to have learned the trade at a young age, Eric acquired a passion for the craft. He has assembled a team of like-minded and skilled craftsmen, specializing in historic masonry restorations, and providing superior quality brick and stonework. Dutchies Stone Works specializes in custom designed patios, fireplaces (indoor and outdoor), walkways, retaining walls, and other stone masonry projects. 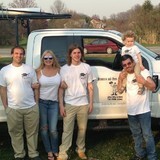 We have over 13 years of experience, 3 generations of stone masons in our family, and employ professional Lancaster County craftsmen. High-quality service at competitive rates will allow you to create the outdoor paradise of your dreams. From simple walkways to well-designed backyard patios with firepits, lighting, and our goal is your 100% satisfaction. Owner, Mihai Epure, has an A.A.S in Masonry Construction from Pennsylvania College of Technology and has been operating HearthStone Masonry since 2001. Whether it be custom masonry, walls, exterior, fireplaces, chimneys, or restoration, Mihai is your go to for masonry. He will turn your vision to reality while completing the job on time. 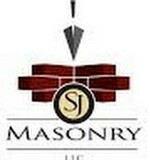 HearthStone Masonry is a masonry construction business featuring a full range of services, and specializing in custom designed chimneys, fireplaces, masonry heaters and other unique projects. Mihai can take the ideas of any homeowner and develop them, creating the structure of their dreams in block, brick or stone. Hearthstone Masonry will also refurbish existing structures to achieve a perfect reproduction of the original or alter the design to fit a modern image, as desired. With Hearthstone Masonry, you can turn your inspiration photos into a reality. Stamped Concrete Works is a decorative concrete contractor based in Lancaster, PA. Contact Stamped Concrete Works for reliability, quality consistency and integrity. We realize that the most solid foundation isn’t made of concrete, it’s in the relationships built with each of our customers as we strive to make each decorative project into your personal artistic expression and dream! 25 years of professional stone Masonry Experience. Was trained in home country of Ireland. For over 40 years Quality Stone Veneer, Inc. has served homeowners, builders, suppliers, and architects with a unique blend of exceptional manufactured stone and masterful installation. We have offices all over the east coast as well in Colorado placed in areas to be closest to you. Our products are designed for all types of applications, interior and exterior, regardless of the scope or size of the project. Whether you’re building a dream home, remodeling an existing home, adding stone to a fireplace, building a church, university, hotel, apartments, or an assisted living complex, we bring your vision to life, from concept to completion. Is it time you spruced up your outdoor living spaces? Creative New Market pavers, masonry contractors and stone suppliers can help. Professionals specializing in hardscape such as walkways, patios and retaining walls will work with you to design, plan, install and even fix your exterior and interior home projects. Read further to learn how to best find and work with New Market, PA stone, brick, paver and concrete contractors. From installing new exterior columns to repairing your chimney, masonry contractors can help you add both visual appeal and value to your property. They’ll know what kind of installation makes the most sense for your New Market, PA climate and regional style. Looking for something that will develop a patina with time? Or would you rather have your home feel brand new for years to come? Choosing the right kind of stone involves thinking about the future, too. Experienced brick suppliers and stone suppliers can help you find the material that will work for your home now and for years to come. These professionals aren’t limited to exterior work either. Whether you want a split-stone granite wall in the kitchen or need help installing traditional brick masonry on your fireplace facade, you’ll want a professional to get it right. If you’re already working with an architect or designer, he or she may be able to suggest a good New Market, PA subcontractor to help out. Here are some related professionals and vendors to complement the work of stone, pavers & concrete: Landscape Architects & Landscape Designers, Architects & Building Designers, Garden & Landscape Supplies, Driveways & Paving, Siding & Exteriors. Find stone, paver and concrete professionals on Houzz. 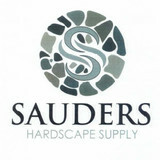 Search the Houzz Professionals section for New Market, PA stone, paver and concrete professionals. Browse photos and read reviews, and contact a pro if you like their work.